> Produkti>Cauruļu meklēšana>Kanāla meklēšanu piederumi>Batteries for transmitter MPL4/MPL6 (Ver. 3), 10 pcs. MPL6-Bat V3 is spare battery kit for the latest V3 version of MPL6-10 and MPL6-33 microduct transmitter sondes with fixed battery compartment and semi-rigid construction. Kit includes 10 pcs 3.0V Lithium cells in a handy plastic box. Typically one cell enables approximately 10 hours of service time after which it is discarded. 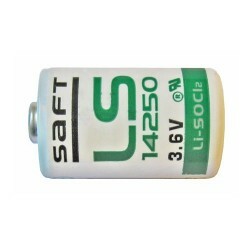 Lithium cells are not delivered one by one.